Adult Swim Games and Super Awesome Hyper Dimensional Mega Team have announced that the arcade-action platformer Rise & Shine is out now on Nintendo Switch for $14.99 via the Nintendo eShop. Rise & Shine combines the bullet-hell action of an arcade shooter with the moment-to-moment tactics of a puzzle platformer for a unique blend of strategy and excitement. Blast swarms of zombies, robots and enormous bosses, then swap to guided projectiles to overcome intricate mazes of dangerous hazards and unlock the way forward. 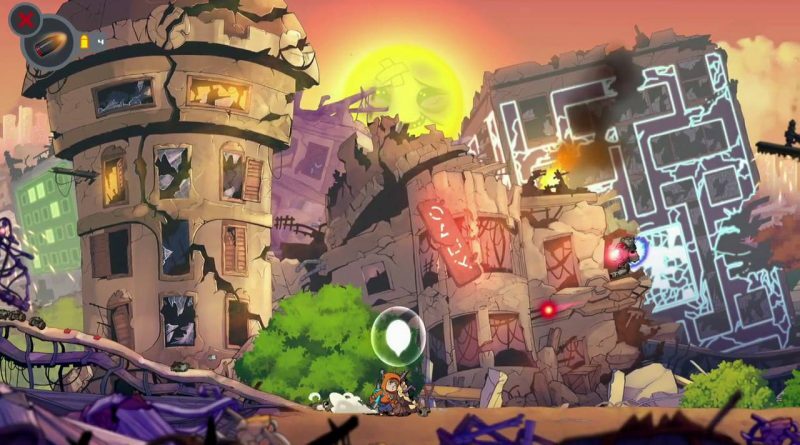 Every level in Rise & Shine is a single, continuous work of hand-drawn art, flowing seamlessly as you dash through chaotic environments of deadly traps, missiles and enemies. But don’t be fooled by the colorful design – Rise & Shine is a highly lethal adventure. You’ll need to think fast and shoot faster to have any hope of saving the world of Gamearth. And if that’s not tough enough, ramp up the challenge in Hard or Turbo Modes for a journey that really tests your wits and reflexes. Be ready to respawn – a lot.